The bamboo root is naturally shaped in a curled tapering form. 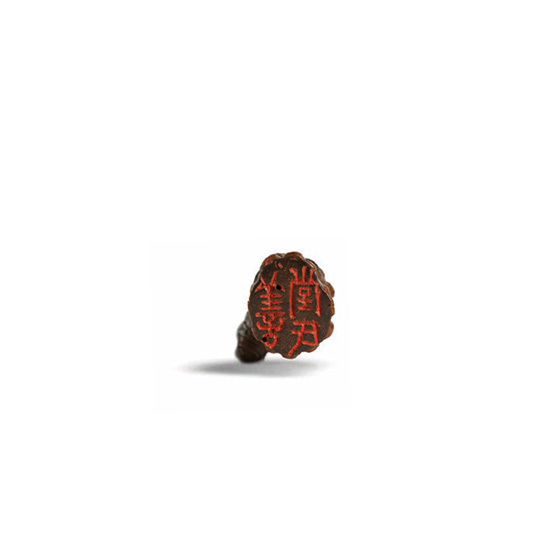 The seal face is carved with three characters in seal script which read Shantang shi 善堂氏 (Master of the Hall Devoted to Goodness). 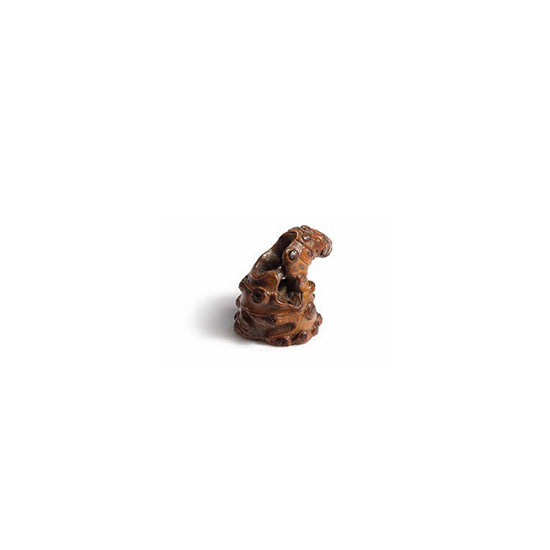 The bamboo root is patinated to a rich honey brown colour.